This stylish contemporary media console will be a lovely addition to your home, perfect for your living room or family room. Sleek Black metal construction creates a sturdy frame, with elegantly curving supports. The top is black glass to hold your television, with two more tempered glass shelves below for electronics components, gaming consoles, movies, and other media items. Add this slick console to your home for an instant style update. 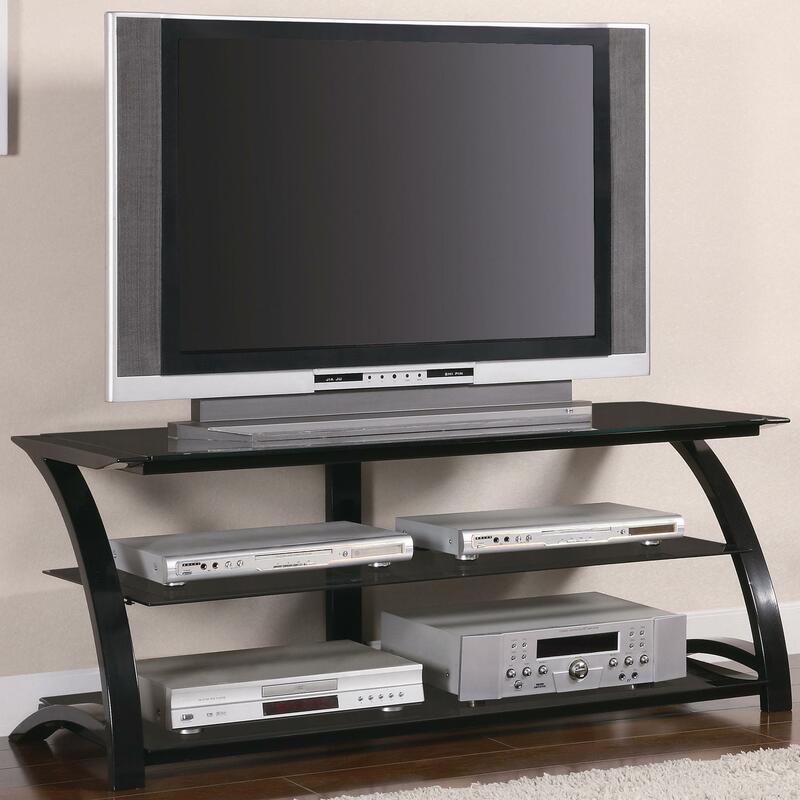 The TV Stands Contemporary Metal and Glass Media Console by Coaster from Nashco Furniture - Nashville. We proudly serve the Nashville, Franklin, Brentwood, Clarksville, Green Hills, Davidson County, Williamson County, Tennessee area. Product availability may vary. Contact us for the most current availability on this product. Storage Two Spacious Black Tempered Glass Shelves. Top Television shelf holds 60 lbs. of weight. Lower and middle shelves hold 40 lbs. of weight.